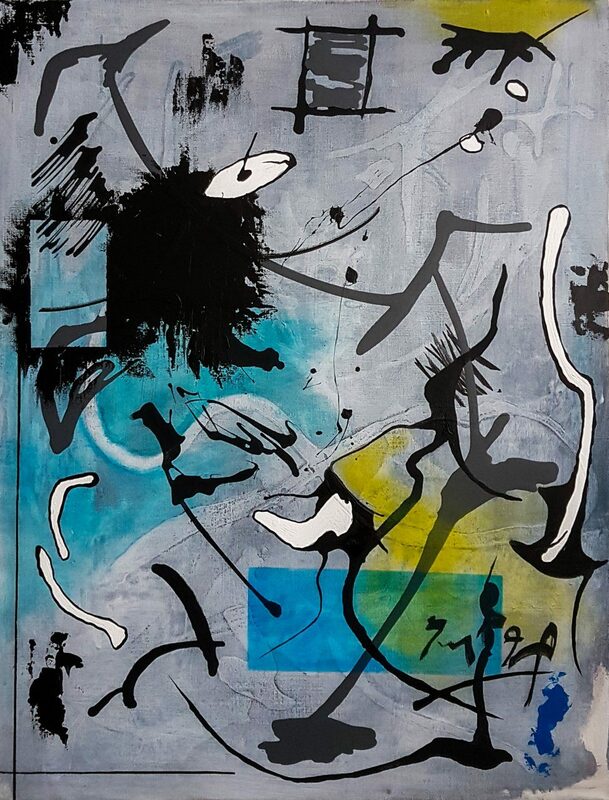 Fragile Thin is a modern abstract painting in a big format on canvas. Fragile Thinis a painting from the serial Fiction elements. This series of paintings by Christian van Hedel also belongs to modern art. Balanced lines, stripes, stains of bright colors against a gray background are projected on linen in shapes of colorful contrasts. This new series of paintings are of a wider size than is used to Christian. A 1.6 meter canvas is an average size in this series. In 2017 he focused on painting these abstract paintings. Painting is one of his disciplines in addition to his mixed media art, drawing, photography and photo art. For example, 2016 featured his mixed media art in the spotlights at fairs, galleries and other exhibitions. That Christian keeps a fair change is well known. Still, he regularly combines all his disciplines in a miraculous way in one piece of art. On the question of whether he will use this series of paintings for his mixed media, he still has no answer. It's coming and it goes as it goes. If a match is found between his other disciplines and these paintings, that's the way. Nevertheless, these paintings have certainly not been established with the aim of creating mixed media art. A global impression of the painting "Fragile Thin" 70x90cm.